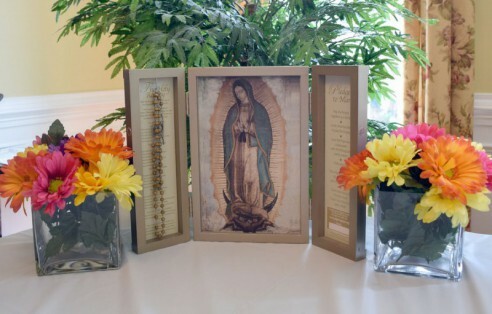 The shrines cost $55, and they can be ordered on the Mission Network website by clicking the button below. Mission Network Programs is the parent organization which offers Pilgrim Queen of the Family as well as many other programs and resources for families, parishes and schools. For more information visit www.missionnetwork.com. You may also download the Pilgrim Queen of the Family Prayer Guidebook HERE.